Growing up we used to watch a lot of anime, and as an adult I still love to watch these animated Japanese show. 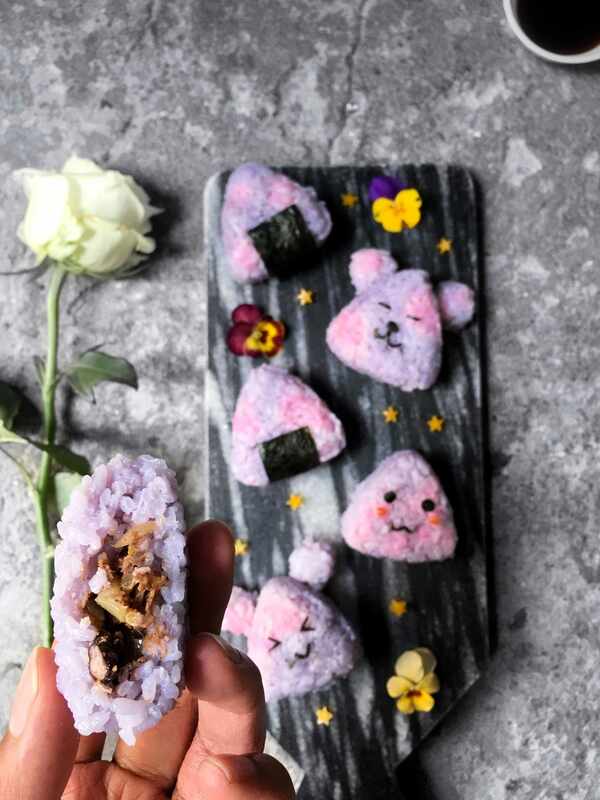 In these anime they present the most delicious and cute looking foods, including these rice balls, which are called onigiri, in the most appetising ways, many times scoffing them down like their the most delicious food on earth. Imagine my curiosity, especially as a foodie, I started craving these anime foods, I simple had to try them! 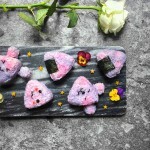 Onigiri are a traditional Japanese food made using white rice and wrapping it in nori. They usually come with a salty or sour filling many times using fish, seaweed or pickled ume. For this onigiri we’re spicing things up a little! Because the filling is covered with a generous amount of rice the heat from super spicy peppers like madame jeanette or habanero become quite tolerable, for most, but be aware of the fact that if you can’t handle spice at all, you should simple stick with chilli peppers. This is by no means a traditional onigiri, so let’s call it a fusion dish, as most of my dishes are. Growing up in a multi cultural house hold fusing dishes is what I’ve become accustomed to. 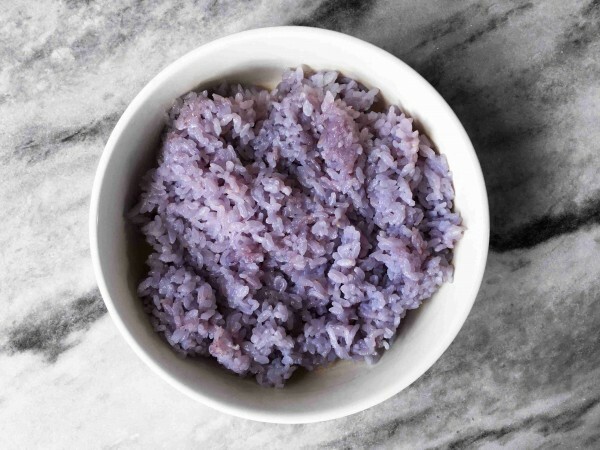 They might not look like it, but these rice balls are super simple and easy to make yourself, which is a good thing considering they’ll be gone in a second! 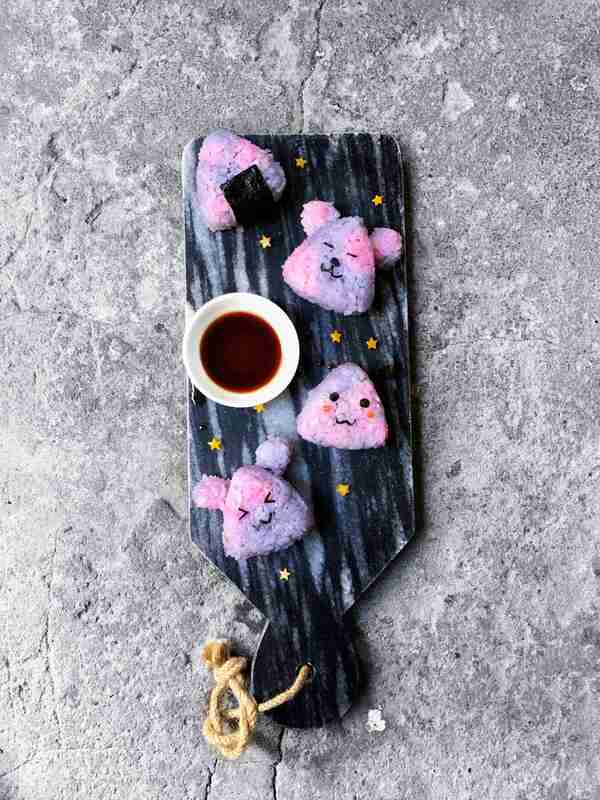 You can have these simple with a piece of nori or cover them with furikuke and if your really want to go all out you could even give them cute little faces. The last option is great for when you’re serving these to kids! Now what are you waiting for? Let’s make some onigiri! Oh and if you watch anime yourself, leave a comment below letting me know your top 3 anime shows. Start by cooking the sushi rice using the instructions on the pack, or use my recipe for unicorn rice. Once the rice is done cooking put it in a bowl and let it cool before using. While the rice is cooking start by prepping the filling. Bring a pan to medium/low heat and sauté the chopped onion until it turns translucent, add the minced garlic and cook for another minute before adding the beans. With the back of the spatula stir while breaking the beans. Add the spices, salt and pepper and cook for a few more minutes before adding the peanut butter and giving it a good mix. Now let it cool. 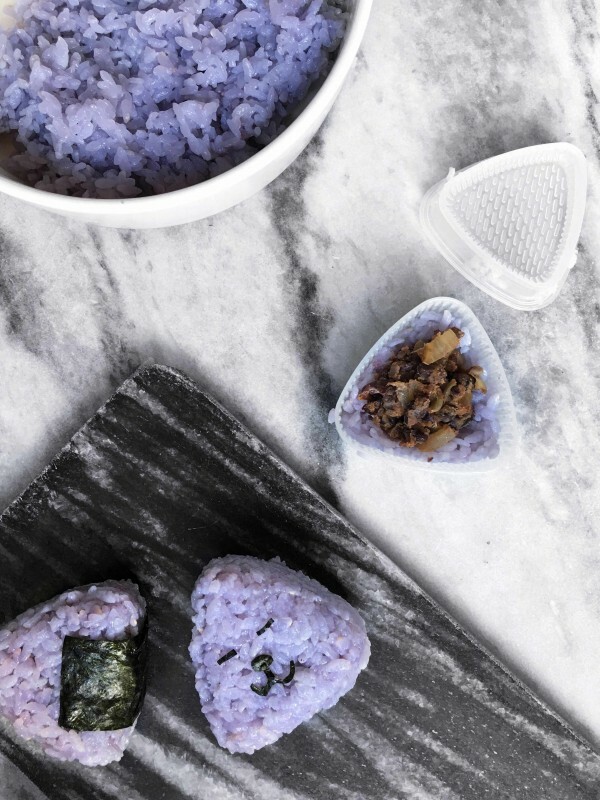 To form the rice balls you can use a onigiri mold or simple do it by hand. If you're using the onigiri mold you could rub some (toasted sesame) oil on the inside, so it's easy to remove the rice ball. Add some rice and create a little well, to this add a bit of the filling, top with rice and squeeze down to close. There should not be any filling coming out. To make it by hand simply take some rice (wet or oil your hand a bit so the rice won't stick) make a well and add the filling. Mold it into your preferred shape to close. Enjoy!